NASHVILLE, Tenn. (April 26, 2017) – The National Music Council has announced that Grammy® winning songstress Crystal Gayle, singer, songwriter and poet Patti Smith, and comic, actor, writer, musician and creators' rights activist Harry Shearer will be honored at the organization’s 34th annual American Eagle Awards on Thursday, July 13 at the Summer NAMM Show in Nashville. The highly prestigious Awards are presented each year in recognition of long-term contribution to American musical culture and heritage, the importance of music education for all children, and the need to protect creators’ rights both locally and internationally. "Each year, the National Music Council carefully chooses a very small group of music creators, artists, educators and advocates to honor for their truly remarkable contributions to American and global musical culture," said NMC Director David Sanders. "Those whose careers we have celebrated in the past are among the giants of American music, and Ms. Gayle, Ms. Smith and Mr. Shearer are worthy additions to the list of those whose long-standing excellence continues to make the US music community the world's leader in musical arts innovation." 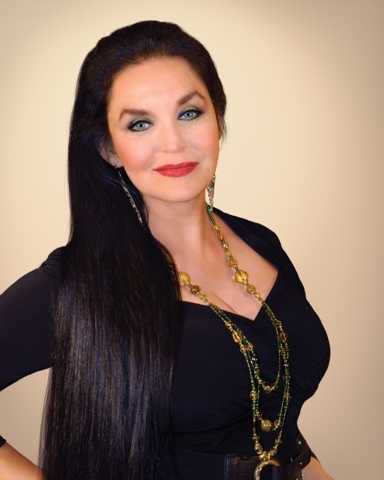 Recognized as one of music’s most influential stylists, Crystal Gayle was born in Paintsville, KY and raised in nearby southern Indiana. Gayle was a teenager when she decided to follow her older sister Loretta Lynn to Nashville where she quickly charted with the hit single, “I’ve Cried (The Blue Right Out Of My Eyes).” As a true artist, Gayle followed her own career path, becoming a two-time CMA Female Vocalist of the Year, and a crossover sensation with such hits as “Half The Way” and “Talking In Your Sleep,” becoming the first female artist in country music history to achieve platinum record sales. Earlier this year, the singer was inducted into the Grand Ole Opry and celebrated the 40th anniversary of her signature hit, “Don’t It Make My Brown Eyes Blue.” Later this year, she will release a new album produced by her son, Am I That Easy to Forget. Patti Smith is one of the most revered recording artists and songwriters of the past forty years, with the likes of Michael Stipe (R.E.M. ), Morrissey, U2, and others citing the impact of her music on their own. Born in Chicago, IL, she spent her formative years in Philadelphia before moving to New York City at the age of 21. There, she wrote several articles for Rolling Stone magazine before becoming a musical force on her own terms in the 1970s. Clive Davis signed her band, The Patti Smith Group, to Arista in 1975, and released the critically acclaimed album Horses, which blended punk rock and poetry. Her 1978 disc Easter contained one of her most popular titles, “Because The Night,” which she co-wrote with Bruce Springsteen. Smith spent much of the 1980s in semi-retirement, but re-emerged in 1996 with the landmark album Gone Again. She was inducted into the Rock & Roll Hall of Fame in 1997 and was the subject of the documentary film, Dream Of Life (2008). LA-born Harry Shearer has carved out a successful acting career over the years, appearing on TV series such as Saturday Night Liveand as a voice-over artist on the long-running FOX cartoon series, The Simpsons. Shearer co-wrote the film Real Life with Albert Brooks, and also wrote for Martin Mull’s successful Fernwood 2 Night. In 1984, Shearer would go on to co-create This Is Spinal Tapand star in the role of Derek Smalls alongside Michael McKean and Christopher Guest. The film, shot in twenty-five days, has become a cult classic. In 1989, he began his longest-running show business affiliation, voicing several characters on The Simpsons, including the villainous Mr. Burns and Dr. Marvin Monroe. He has also appeared in such television series as Miami Vice and Dawson’s Creek, and is an advocate for creators and artists. The honorees and Awards will be celebrated the evening of Thursday, July 13 at The Summer NAMM Show at Nashville’s Music City Center and open to industry members and Summer NAMM attendees. The Summer NAMM Show is the annual gathering of the National Association of Music Merchants (NAMM) and its many member companies, representing the global music products industry. The awards are presented with support from The NAMM Foundation, a non-profit which works to advance active participation in music making across the lifespan through scientific research, philanthropic giving and public service programs. Tickets to the awards are available to the general public and general admission to the event is open to Summer NAMM attendees. For more information on VIP dinner and seating, schedule, location details, tickets, and sponsorship opportunities, visit www.musiccouncil.org or contact NMC Director David Sanders at sandersd@montclair.edu. Proceeds from the event support the National Music Council’s music education advocacy efforts.